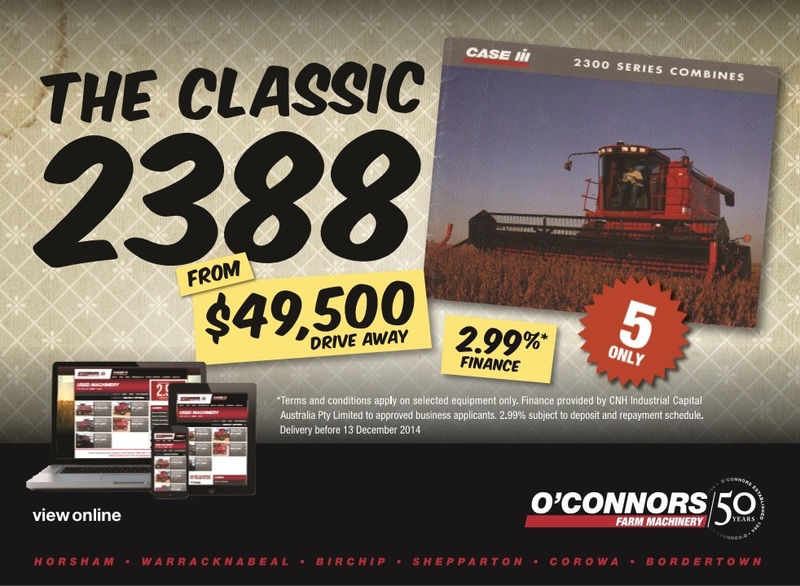 O’Connors are a client who utilise both traditional and digital marketing to drive their messages and product offers. The brief to take six used 2388 Axial-Flow Headers to the market using both mainstream and digital marketing was a creative challenge. The results exceeded all expectations. Product: Production 30 sec TVC, Press Advertising, Radio Advertising, Digital Display Banners. The first challenge for this product was that they were manufactured in the early-nineties and available sales collateral, images and information was near non-existent. Fortuitously O’Connors found a dog-eared brochure from archive which started the process. In it’s hay day the 2388 was deemed to be one of the best of it’s kind, so bringing back to the market (albeit used) as a ‘Classic’ made total sense. We threw around ideas about the things we all considered as classic items – Cassettes, Truckers Hats, Old-fashioned Burgers to mention a few and added the 2388 Axial-Flow Headers to the list. The production of the commercial started with the collation of imagery which would suit the style of the nineties. The script was under-written to allow the voiceover to set an Aussie tone reminiscent of the male voiceovers of the nineties. The use of fifties wallpaper as a canvas for the select imagery and the integration of video footage and purpose filmed crowd scene that is in silhouette adds to the 90’s flavour of the commercial. This tongue-in-cheek nostalgic trip back in time resonated with the market and also brought a smile to faces – Sales up for O’Connors. “Keep doing more of that!” was the client feedback. Great creative and production execution, coupled with a strategic media plan resulted in an incredible 46% increase in website traffic (excluding digital advertising). This increase in web traffic directly correlated with an increase in phone calls to the sales team.